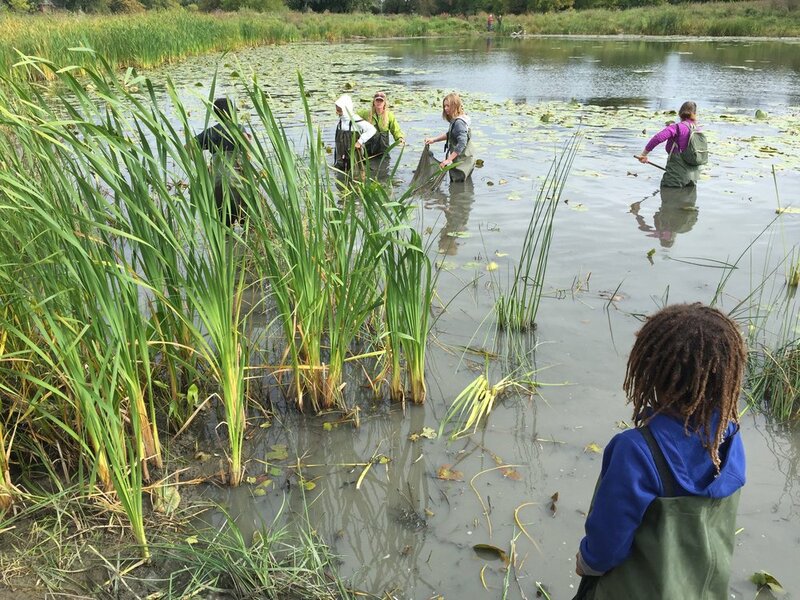 A walking tour around the pond with Jennifer Lamoureux, Aquatic and Fish Habitat Biologist. The tour will provide information and highlights of how the Brewer Park Pond Restoration came to be. Why was the pond reconstructed? What are the social and ecological benefits? How did the pond reconstruction unfold? Who were the partners involved? What species have recolonized the newly constructed pond? Trees are good medicine! A walk in the forest can reduce stress, boost the immune system and offer a fresh perspective on life. A Forest Therapy Guide's role is to help you access that forest medicine and wisdom. Learn more and get a taste of this practice on this walk led by a trained guide. Come early. Max. 8 participants per walk. Claire from Sunnyside Library will lead tree and nature-themed story hour for kids 0-6 years old. Join a 2-hour workshop led by Adrienne Lewis and Rosario Castanon-Escobar, Rideau Valley Conservation Authority Aquatic Resource Technicians. The activity will consist of a benthic invertebrate/ fish sampling demonstration. They will have chest waders for the public to wear and assist in the sampling methodologies. Participants will take the opportunity to record observations as part of the post effectiveness monitoring work for the newly reconstructed Brewer Pond. Check out your knowledge about nature by competing in a trivia game led by Ecology Ottawa. 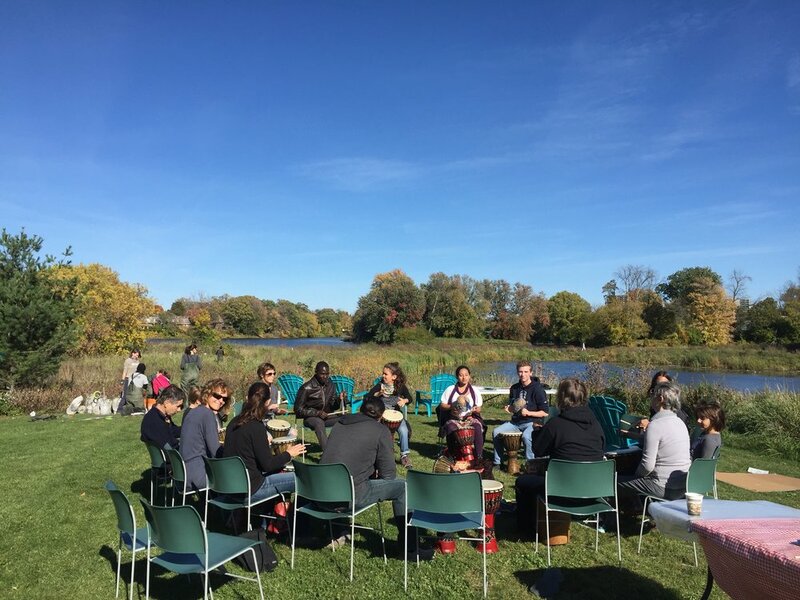 Join a community drumming workshop under the trees with Kathy Armstrong, a percussionist and educator who is well-known for bringing Ghanaian music and dance to choirs, schools and community groups in North America and Europe. Join Indigenous walks on a tour through Brewer Park's sneaky little location! On this 1.5 hour tour, you'll hear from an experienced spot talker on tipis and tipi pole formations along with your guide, Jaime Koebel who will talk about Indigenous stories of little people and love medicine. Enjoy a taste of cedar tea and come walk the moccs with Indigenous Walks! More activities may be added. Check back often! Tree Fest Ottawa gratefully acknowledges the financial support for the festival from the City of Ottawa's Community Environmental Projects Grant Program (CEPGP).